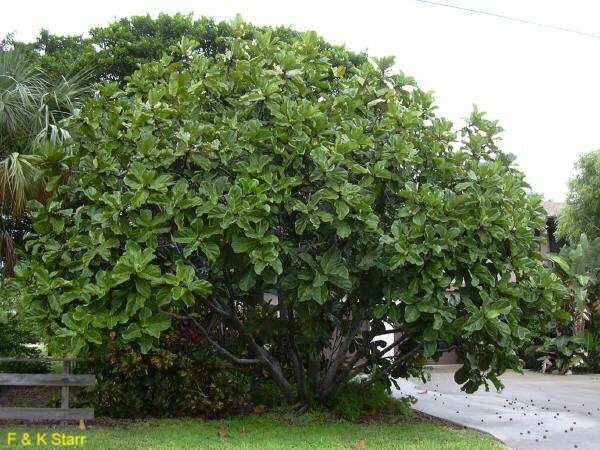 Comments: This fig produces large, fiddle shaped leaves that are up to 15 inches long and 10 inches wide. It has a high drought tolerance, but breaks apart easily with high winds and should be planted in protected places. Its flowers and fruits are of little ornamental significance.